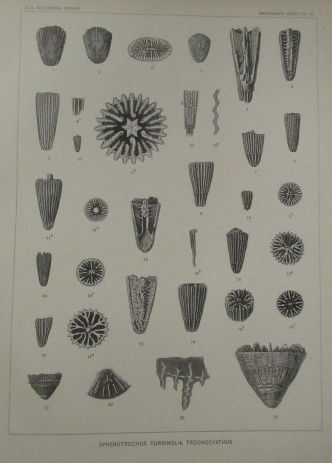 EOCENE LOWER OLIGOCENE CORALS OF THE UNITED STATES - BY WAYLAND VAUGHAN. 1900. 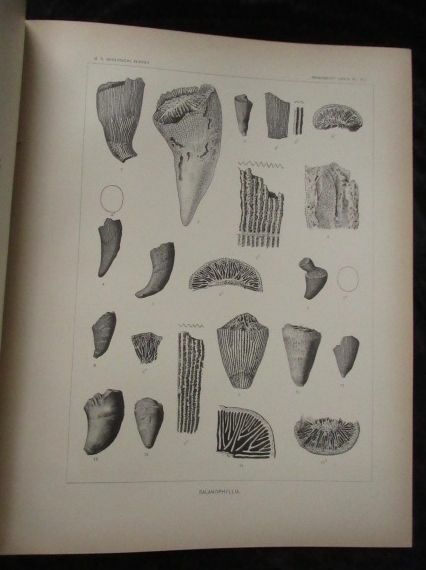 EOCENE/LOWER OLIGOCENE CORALS OF THE UNITED STATES - BY WAYLAND VAUGHAN. 1900. 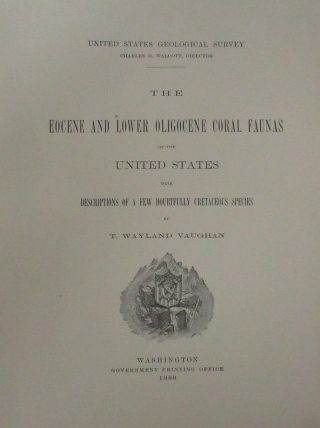 The Eocene and Lower Oligocene Coral Faunas of the United States. By T.Wayland Vaughan. 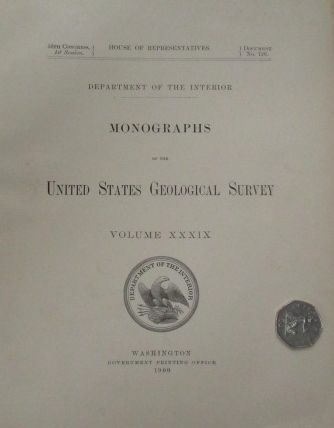 Department of the Interior Monographs of the United States Geological Survey. 1900. Large format. Missing the outer covers, but otherwise complete. 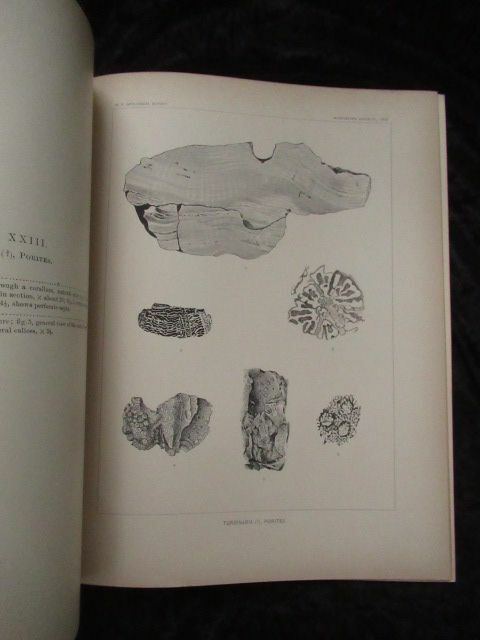 263 pages and 24 plates of corals. This is a rarely offered publication. 28.5 x 23 x 2cm.